Bill Johnson (April-04-2019) Sermon: Biblical Meditation. Part of Bill Johnson’s sermon Really Saved at Bethel church in Redding, California. From back in 2010, when Bethel.TV had just started. BILL JOHNSON (March-31-2019) Sunday Service - Weekend Bethel church Live Stream. Join the Sunday service of White Johnson. The beginning of the Sunday broadcast is at 14:30. Divisions with us are the joy of unity in the Holy Spirit. Sunday service in Bethel Church. Bill Johnson (March-30-2019) Sermon: Knowing the Voice of the Father. Part of Bill Johnson’s sermon Drawing Near To God at Bethel church in Redding, California. Bill Johnson (March-26-2019) Sermon: The Family Of God. Part of Bill Johnson’s sermon The Family of God at Bethel church in Redding, California. 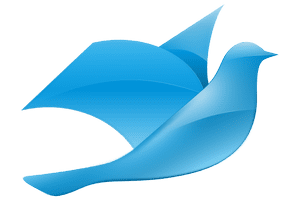 Bill Johnson (March-24-2019) Sermon: HOW THE HOLY SPIRIT WORKS? BILL JOHNSON (March-24-2019) Sunday Service - Weekend Bethel church Live Stream. Join the Sunday service of White Johnson. The beginning of the Sunday broadcast is at 14:30. Divisions with us are the joy of unity in the Holy Spirit. Sunday service in Bethel Church. BILL JOHNSON (March-17-2019) Sunday Service - Weekend Bethel church Live Stream. Join the Sunday service of White Johnson. The beginning of the Sunday broadcast is at 14:30. Divisions with us are the joy of unity in the Holy Spirit. Sunday service in Bethel Church.